“Virginia is for lovers” has long been the state’s tourism tagline. 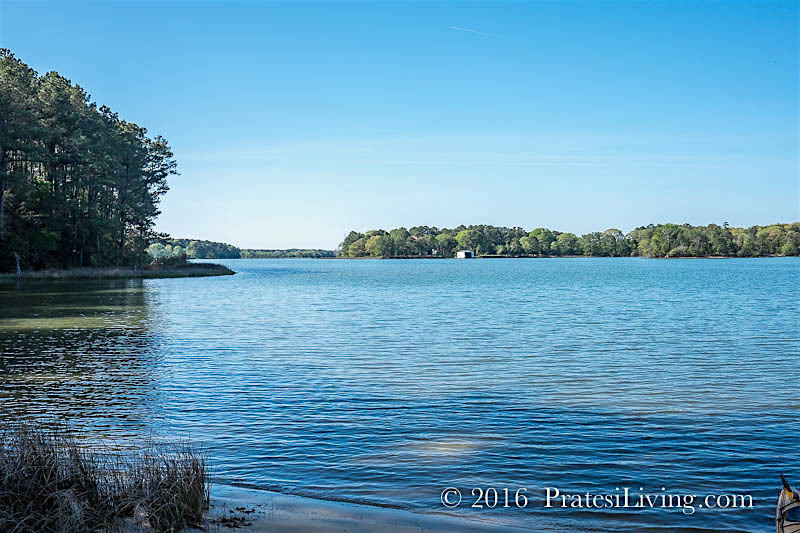 With its lush, rolling hills in the Shenandoah Valley and shimmering waters along its coastal regions, Virginia is definitely the place for romance. 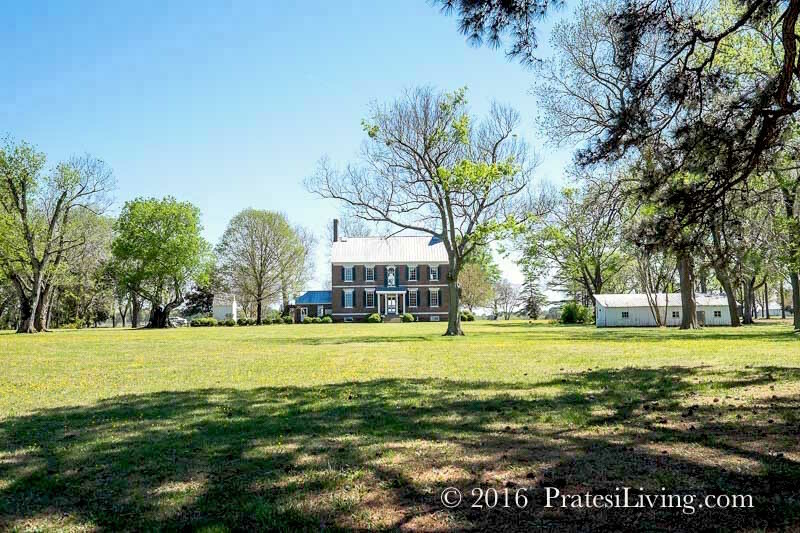 However, what you might not know is that Virginia is a great state for food and wine lovers. 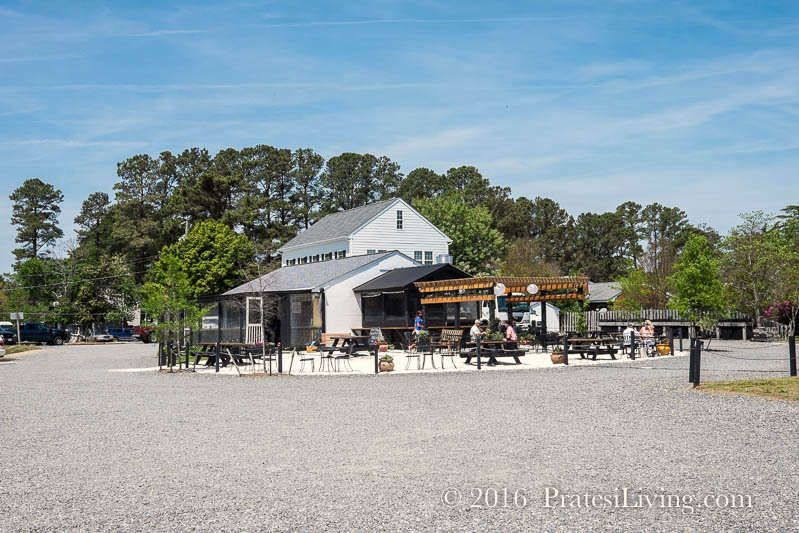 While some destinations in the state are receiving national recognition for their thriving culinary scenes, there are a number of other regions that might be a surprise when it comes to wining and dining in the Commonwealth of Virginia. In Arlington, a neighboring commuter city of Washington, District of Columbia, you’ll find a burgeoning food scene. With its proximity to the nation’s capital, it’s no wonder that the city has a diverse selection of international casual and upscale dining spots. Further south and closer to the coast, Richmond, Virginia, has also recently garnered national attention for its notable chefs, new restaurants and craft breweries. 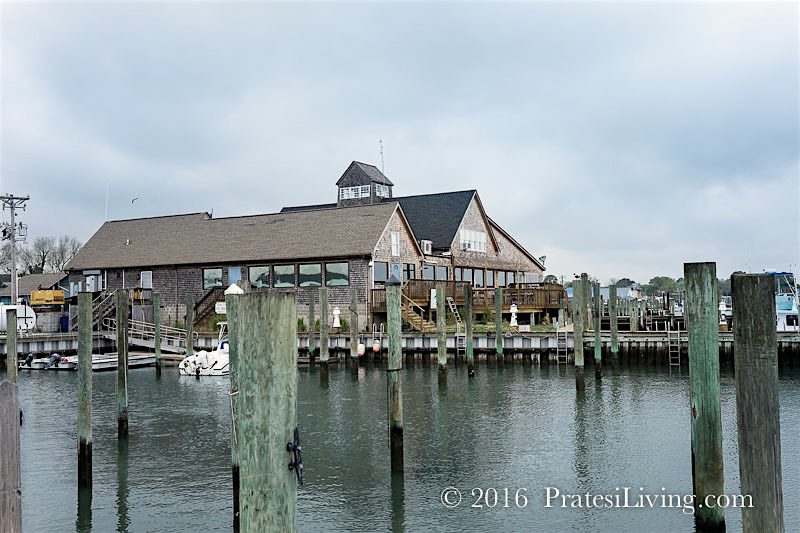 Its location is ideal for access to fresh seafood from the coast as well as regional farmers supplying seasonal produce, meats and poultry to the chefs. 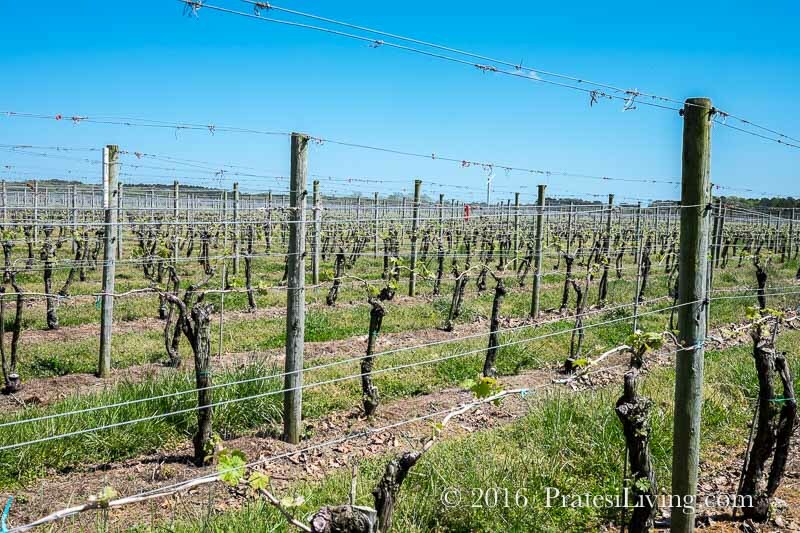 It may come as a surprise that Virginia features the fifth-largest growing wine region in the country. The first European grapes planted for production were introduced in Virginia about 40 years ago. 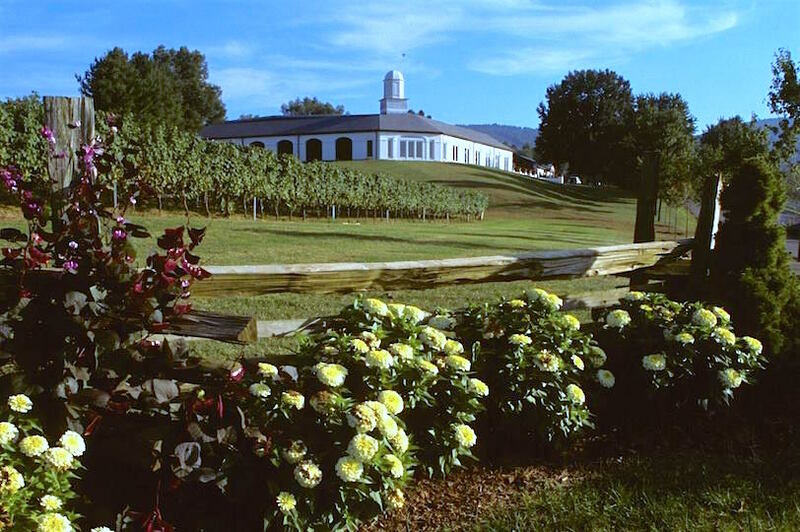 Today there are approximately 4,000 acres of vineyards and 300 wineries in nine wine regions extending from northern Virginia, through central Virginia and the Charlottesville area, and as far west as the Kentucky line in Appalachia, and even along the sandy shores on the Chesapeake Bay and Virginia’s Eastern Shore. 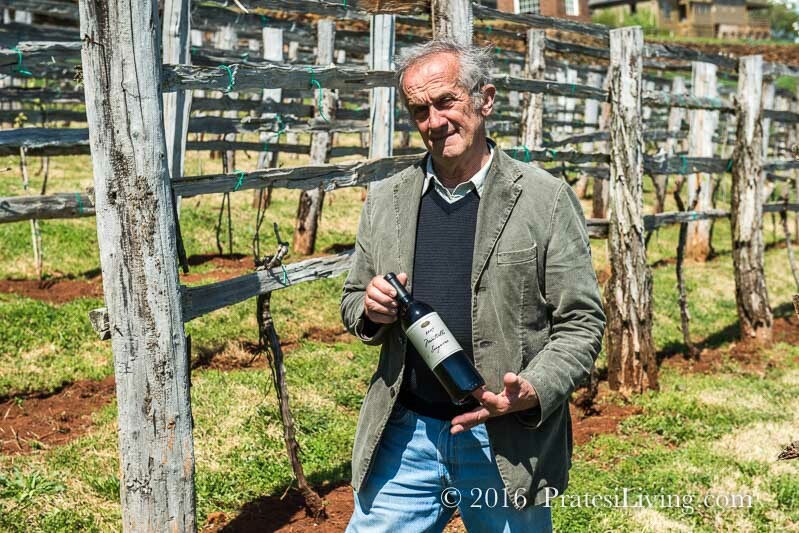 After acquiring the estate in 1976, Barboursville became one of a number of ever-growing exceptional and award-winning winemakers in Virginia producing varietals such as Pertit Verdot, Viognier, Cabernet Franc, Petit Manseng and Bordeaux blends. The list continues to grow as the winemakers mimic growing conditions in Bordeaux and Burgundy by planting vines in rocky soils on windy hillsides, which allow for drainage and air circulation around the grapes, and by learning methods to deal with the unpredictable climate in the region. 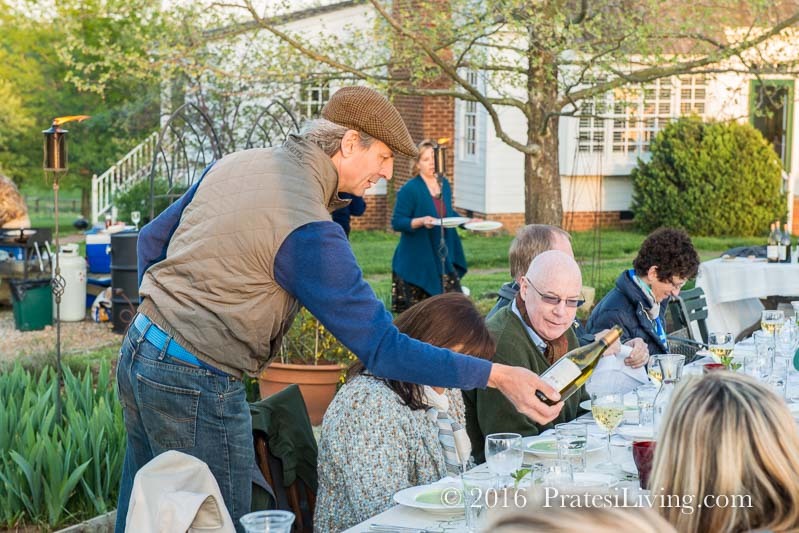 Barboursville (along with a number of other wineries in Virginia) also offer excellent dining, cooking classes and accommodations on their property. 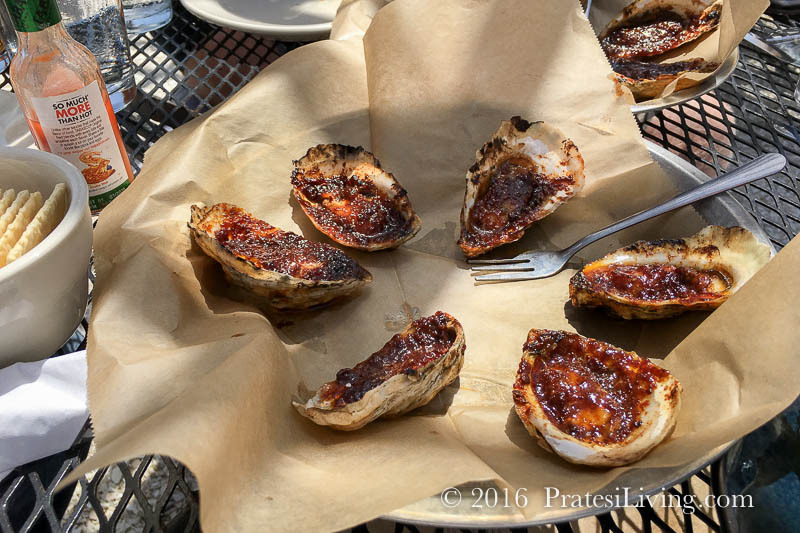 Another culinary gem in the state is the Virginia oyster. 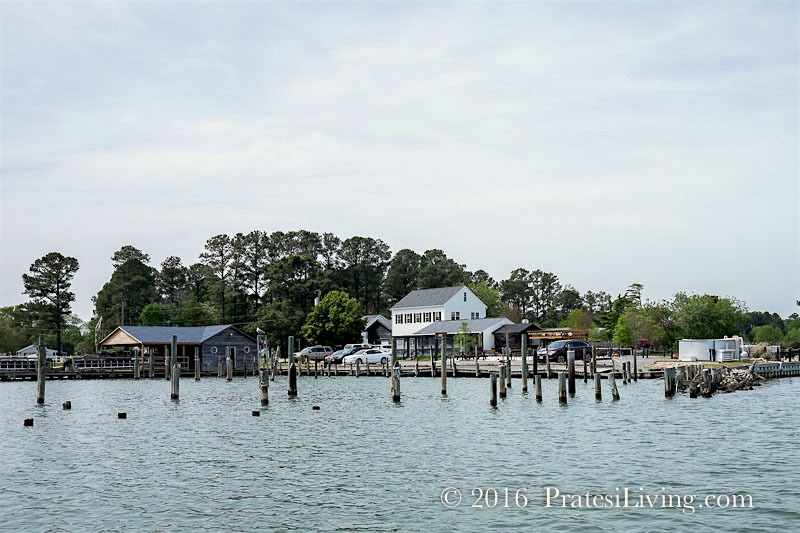 Not new to seafood production in Virginia, but new to the state’s culinary tourism focus in the coastal region, is the Virginia Oyster Trail. 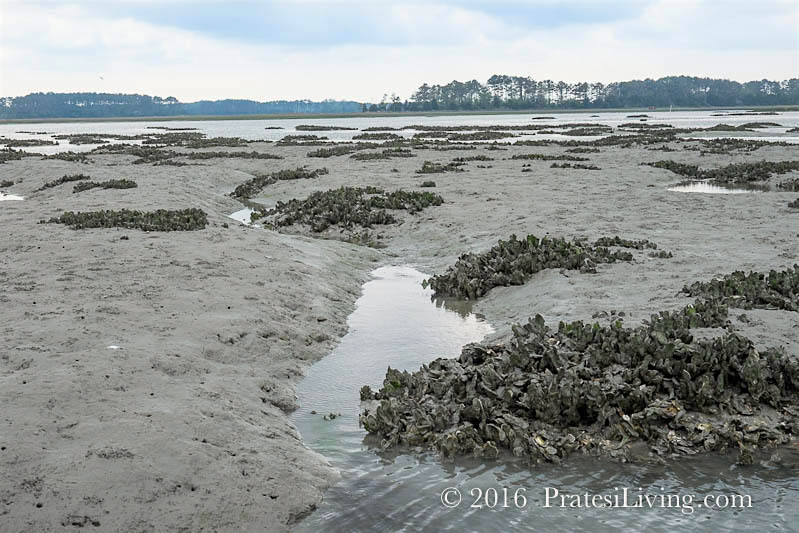 Oyster farming has long been critical in maintaining the fragile ecosystem along Virginia’s coastline and in the Chesapeake Bay. 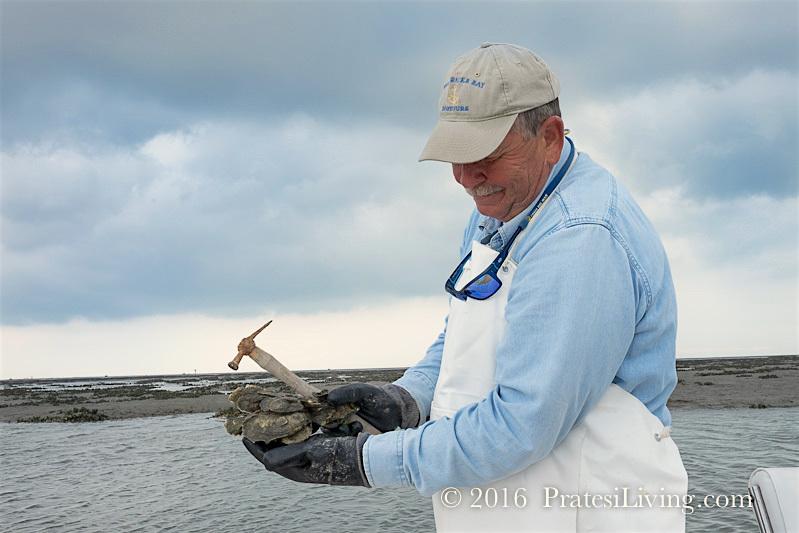 Many of these oystermen have been in business for several generations, with young family members returning home to continue the legacy. 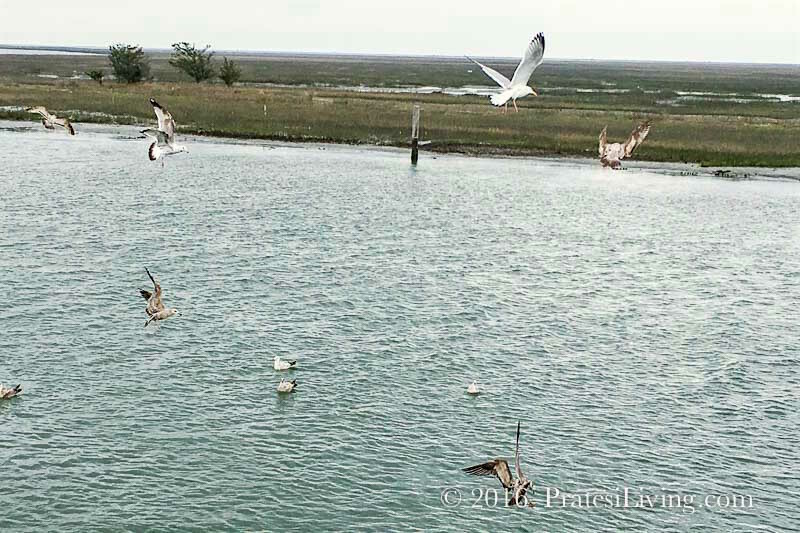 Virginia is the largest producer of oysters on the East Coast and features eight distinct regions, the most recent region being named as Tangier Island, situated off of the town of Onancock on the Eastern Shore of Virginia. In the wine world, the flavors transferred to the grapes from the climate and the soil where they’re grown are described as terroir. 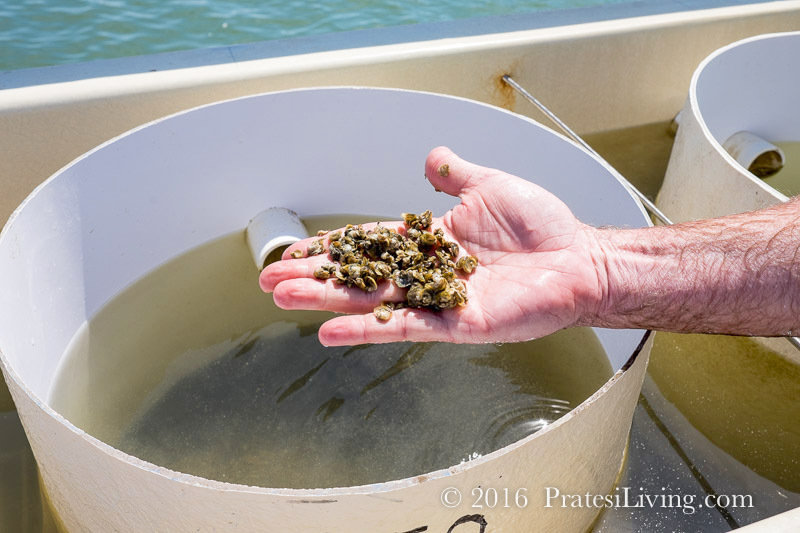 In the oyster world, the flavors of the waters and beds are transferred to the oyster as it grows. Each region imparts a decidedly unique taste from the others and is expressed as merroir. 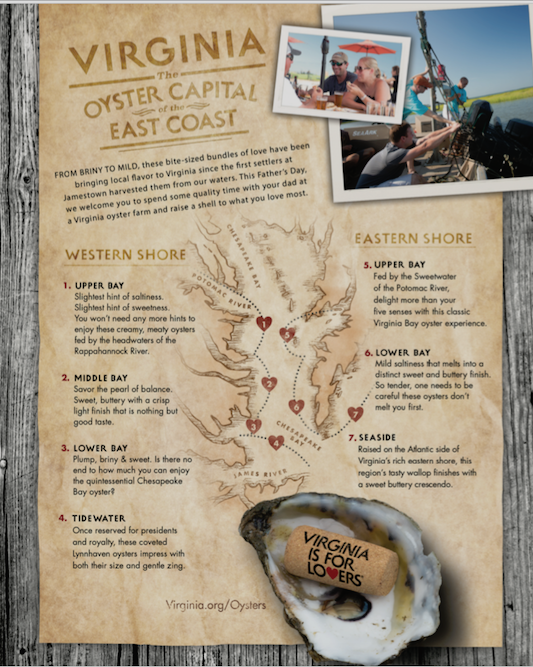 With the recent focus on all things culinary, Virginia has partnered with local oystermen and watermen and other agri-artisans (businesses that feature the Virginia Oyster) to offer unique tasting experiences combined with oyster facility tours. 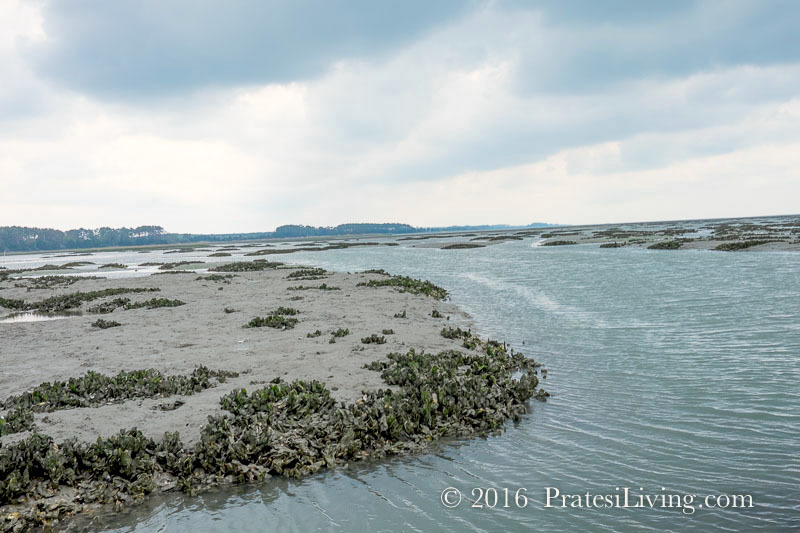 On the tours, visitors can learn about and taste the very distinct flavors of the eight regions and waters where the oysters are grown and some tastings are paired with regional wines. 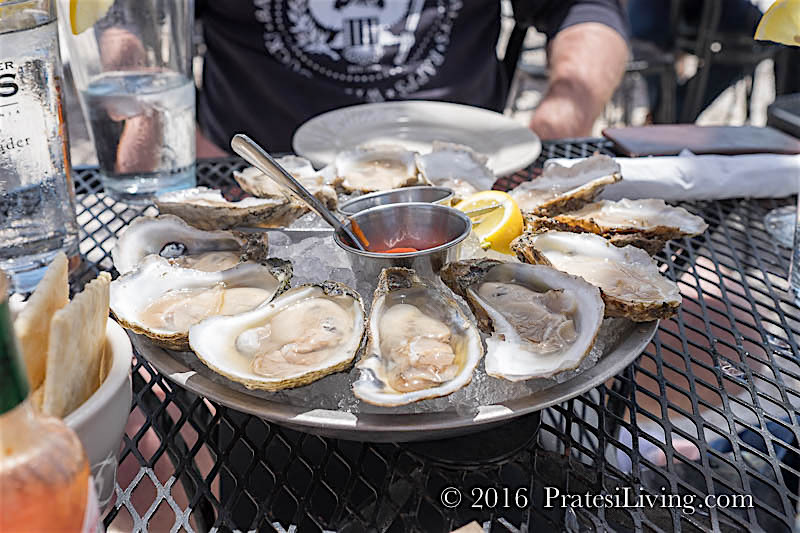 This is America’s first “Oyster Trail” of its kind and oyster tastings are every bit as flavorful and educational as wine tastings. 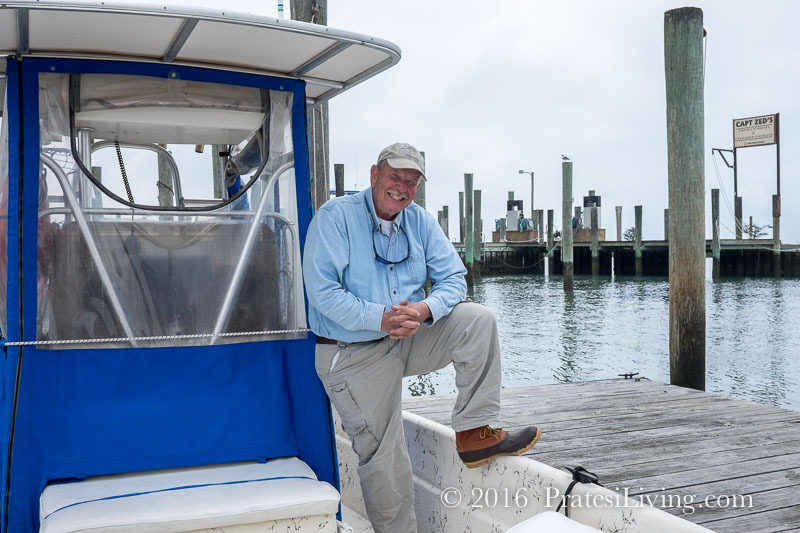 In the small fishing village of Wachapreague along the Eastern Shore, Captain Rick Kellam of Broadwater Bay Ecotours, features on-the-water tours complete with history of the barrier islands and oyster tastings where his guests can harvest fresh wild oysters and taste the saltiness and brininess of the ocean waters while still on the boat. 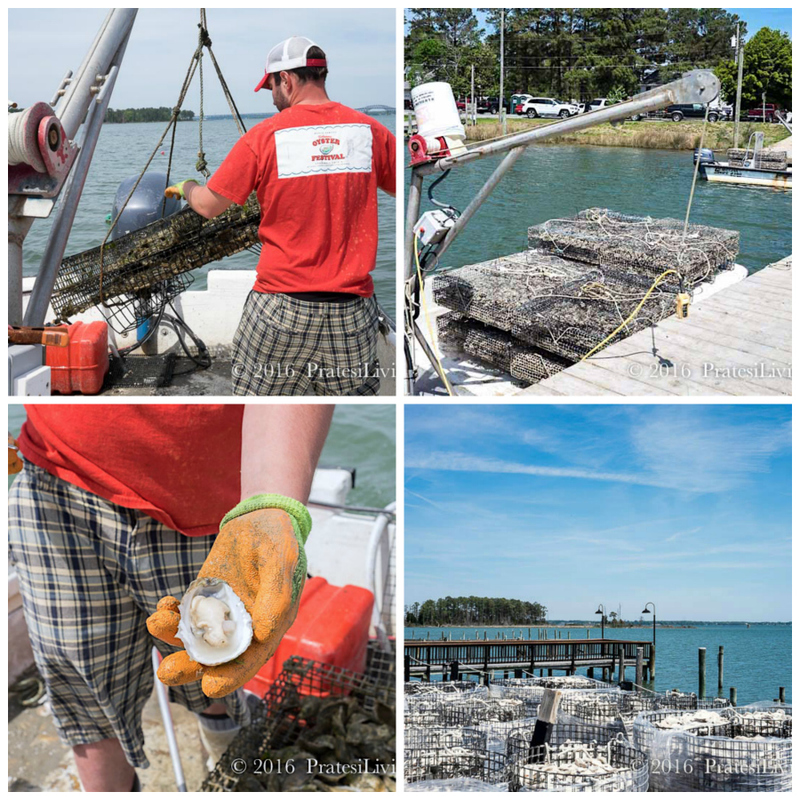 Meanwhile, on the Rappahannock River in Virginia’s Middle Peninsula, you can tour the oyster facility at Rappahannock Oyster Co. with oystermen and cousins Travis and Ryan Croxton, followed by lunch or dinner at Merroir, their restaurant next door. 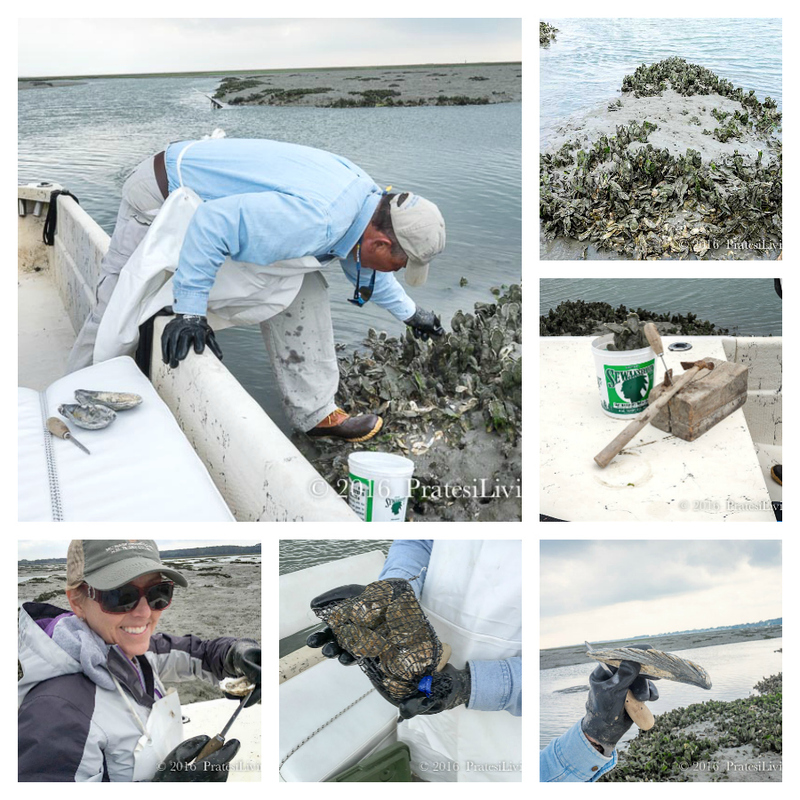 With views of the water where the oysters are harvested, oysters on the half shell don’t get much fresher than this. 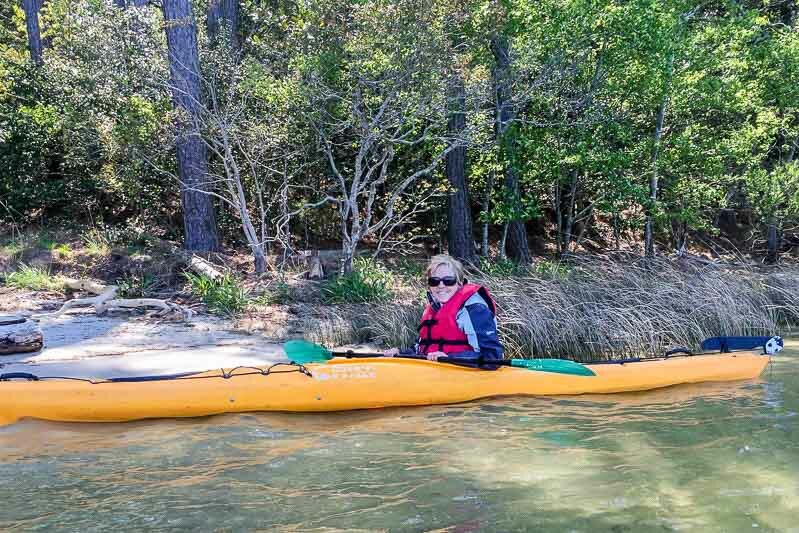 And while on the Eastern Shore, visit one of the wineries on the Oyster Trail with the world’s only known Kayak Winery Tour with SouthEast Expeditions. 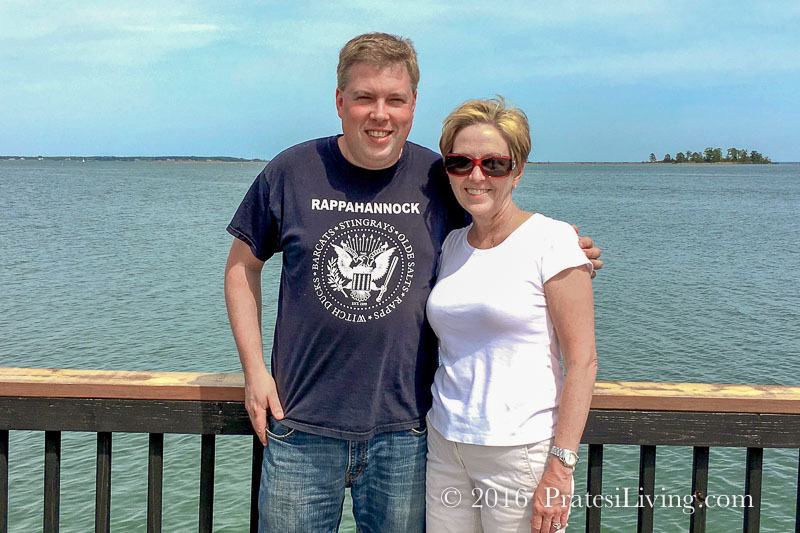 Departing from the tiny town of Bayford on the Chesapeake Bay, the tour takes you to historic Chatham Vineyards in Machipongo, Virginia. 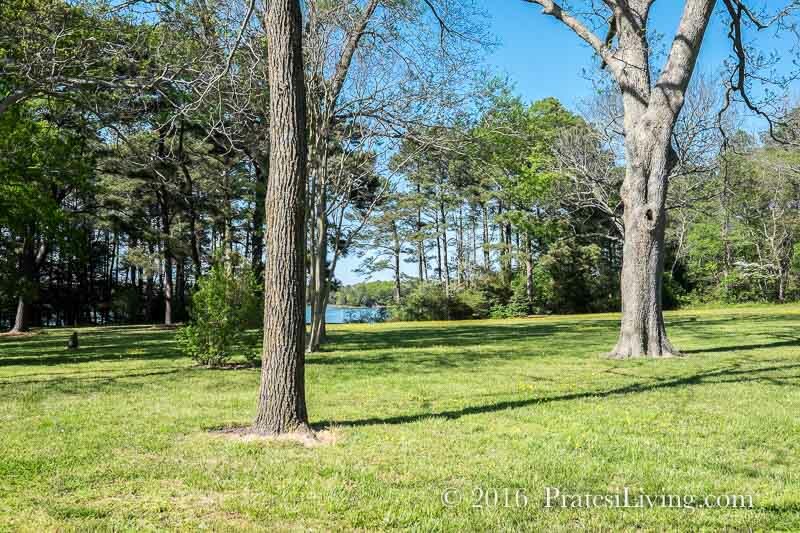 After paddling a mile along the beautiful Chesapeake Bay, your efforts are rewarded with a wine tasting and selection of Chatham Vineyard wines. 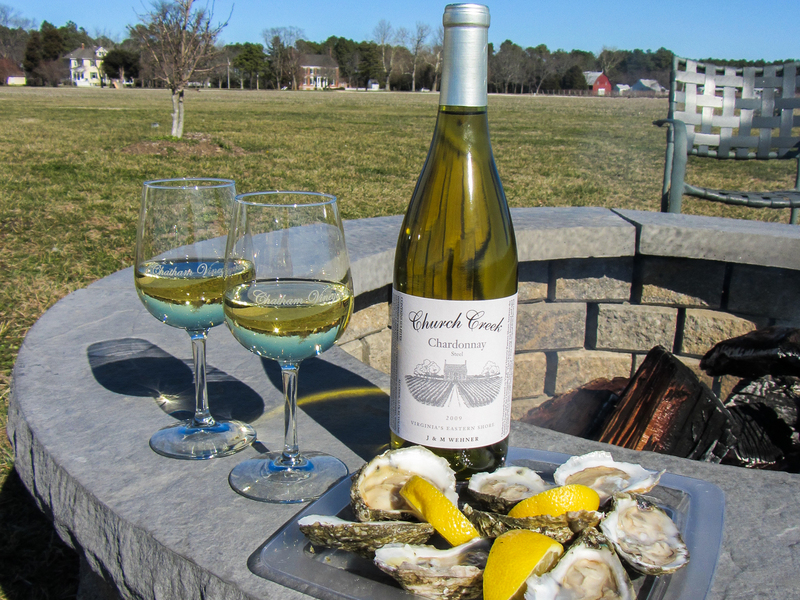 Don’t pass up the opportunity to try their very popular Church Creek chardonnay, the perfect dry and crisp wine to accompany the region’s briny, creamy, buttery and, depending on where they’re grown and sourced, sometimes sweet oysters. 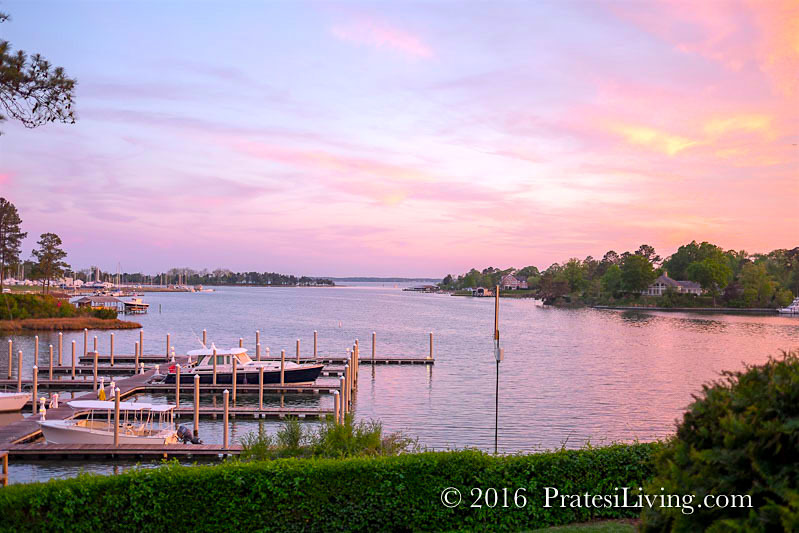 There’s nothing more romantic than the marriage of wine and oysters and Virginia’s Eastern Shore Wine & Brine combines the two culinary gems with celebratory oyster roasts, barbecues and festivities throughout November. 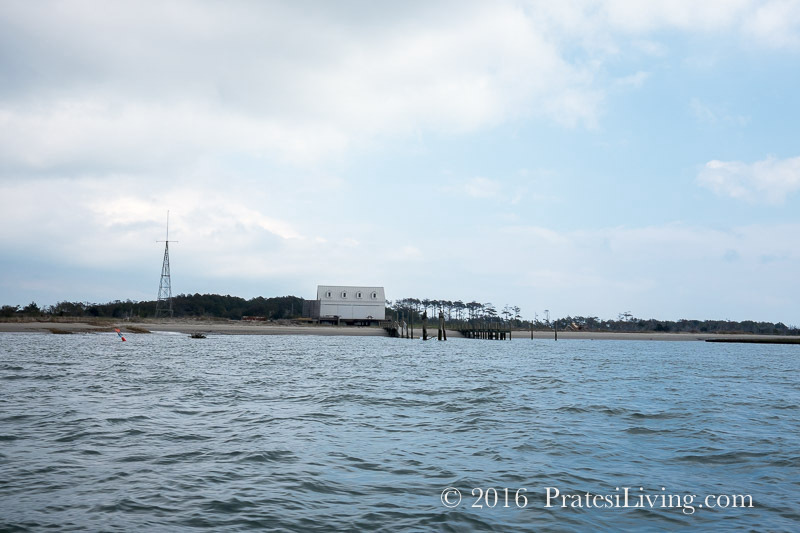 Featuring wines from local Chatham Vineyards and oysters harvested from neighboring waters, it’s the perfect time to travel to Virginia and experience the quaint seaside towns of Onancock and Cape Charles, and soak in this up-and-coming culinary coastal destination.